I was working with an office a few weeks back, and one of the hygienist’s told me she “hated feeling like a salesperson in the office”. I sat and thought about what she said as well as how often I heard similar statements from other hygienists. As a general rule, and I can say this because I AM a hygienist, we hygienists do not like talking about money with patients. We want to see our patient’s for treatment and know that the tab for everything we do will be picked up by the insurance companies. As I tried to wrap my head around what he said, I came to the realization that “selling” in dentistry isn’t necessarily a bad thing. We are “selling” people Optimal Oral Health! As it is the prerogative of every consumer, what our patient’s choose to “buy” is ultimately up to them. I took it upon myself that day, to make sure that I looked at each patient’s dental situation and do my best to offer them any treatment available that would benefit them. For example, I had a patient, we’ll call him Bob, who had a mouth full of 2-3mm of recession and was on a few medications that were causing him dry mouth. I explained to Bob that he is a high caries risk individual due to this recession and dry mouth, and that if we give him a fluoride treatment at least twice a year, we can drastically reduce his risk for developing new tooth decay! After I told this to Bob, do you know what he did? He said that he wanted the fluoride treatments when he came in for his cleanings! Win-win in my book! Bob is receiving Optimal Oral Healthcare, and the practice is increasing its revenue! Another patient came in 6 months ago. His teeth were literally black from tobacco stain and supra calculus. I do not have a prophy jet, so I did the best I could with a Cavitron and scalers. I recommended that he use a Sonicare toothbrush. I know what it does for plaque and stain, so why wouldn’t I suggest he use it? It certainly would make my life easier at his 6 month recalls. He saw the benefit, and purchased a Sonicare from our office that day. I saw this same patient recently, and there was such a difference in the amount of stain he had! 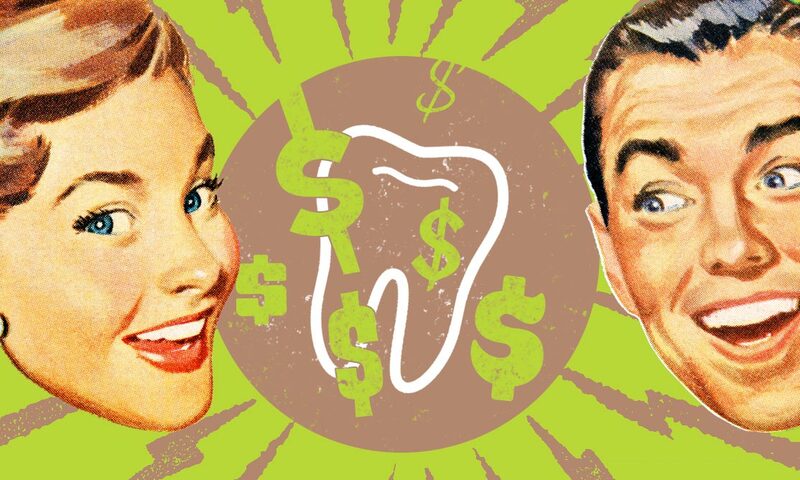 Both of these patients walked out of the office buying something that their insurances wouldn’t cover — an adult fluoride and a Sonicare toothbrush. I didn’t “sell” these patients something they didn’t need. I simply gave them the opportunity to improve their oral health!